The following courses are a listing of strongly suggested courses that Neuroscience students may consider for their elective requirements. These courses may not be offered each year so contact the course director (and DGS for NBIO prefixes) to confirm its offering. If you come across another elective you would like to take and it will benefit your research, please consult Mark Zylka for permission. This graduate-level seminar course combines lectures and paper presentations on cutting-edge interdisciplinary research of dynamics and function of brain networks. The course is designed to be informal and highly interactive and requires active participation. 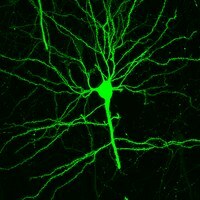 Application of modern tools such as massively-parallel, electrophysiological recordings, large-scale computer simulations, optogenetic manipulations and advanced MR imaging represents a major focus. Frohlich. Data analysis, sampling, applied probability, elementary distribution theory, principles of statistical inference. This largely self-study course will deal with basic statistical and quantitative methods for the analysis and interpretation of biomedical data. This course is required for pharmacology, toxicology and pathology graduate students. Fall. Graves.